By now it is well documented that today’s affordable housing prices, historically low interest rates and federal home buyer tax credit have combined to create one of the most attractive first-time buyer markets in recent memory. What many Americans might not realize is that a recent expansion of the buyer tax credit has created an equally desirable opportunity for existing homeowners. This past November, Congress elected to expand the home buyer tax credit to repeat buyers after seeing the success the temporary financial incentive had on the housing market and overall economy. As a result, current homeowners who will have lived in their home for 5 consecutive years out of the last 8 may now be eligible to receive a $6,500 tax credit. 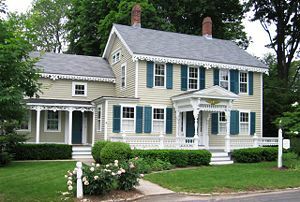 To qualify for the tax credit, the repeat buyer must have signed a binding contract by April 30, 2010 and close on the home by June 30, 2010. Tax credit eligibility is subject to income limits, $125,000 for single buyers and $225,000 for couples. In addition, the sale price of the home being purchased can not exceed $800,000. There is no requirement that existing homeowners must have sold their home to be eligible for the $6,500 tax credit. However, Weichert encourages existing homeowners who want to benefit from this incentive to move quickly, particularly those who prefer to first sell their current home before purchasing a new one. “Typically, it takes three months or longer to sell a home. That’s why it is critical repeat buyers put their home on the market right away. Otherwise they might not leave themselves enough time to both secure a buyer for their current house and find a new home by the April 30 deadline,” added Weichert.